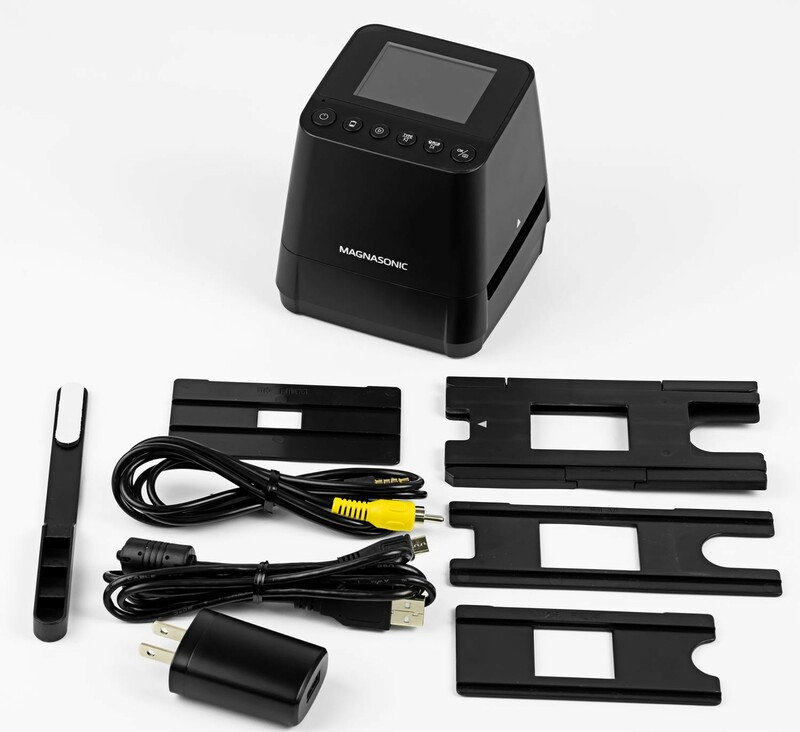 Bring your film, slides and negatives into the digital age with the help of the Magnasonic Film Scanner. built-in, full color LCD screen without the need to learn and use complicated image editing software. 110 film, slides and negatives into premium quality digital files. together on a larger screen using the included Video Out TV cable. need for time consuming and expensive editing software. ready to download onto your PC. Use an optional SD card (up to 32GB) to save even more photos. get through that pile of film, negatives, and slides in no time at all. 110 film adaptor, 126 film adaptor, and cleaning brush. 35mm film strips, 35mm slides, 110 and 126 film. It can also scan in black and white, or in full color! No, the FS51 cannot scan undeveloped film. It is important to never expose undeveloped film to light as it will overexpose and damage the film which cannot be recovered. Although most retailers don’t offer the option of developing film, some specialty photography shops offer the service. The FS51 is able to make minor adjustments to color and exposure but cannot fill in scratches or fading that may happen over time. While a computer is not necessary, it is highly recommended. 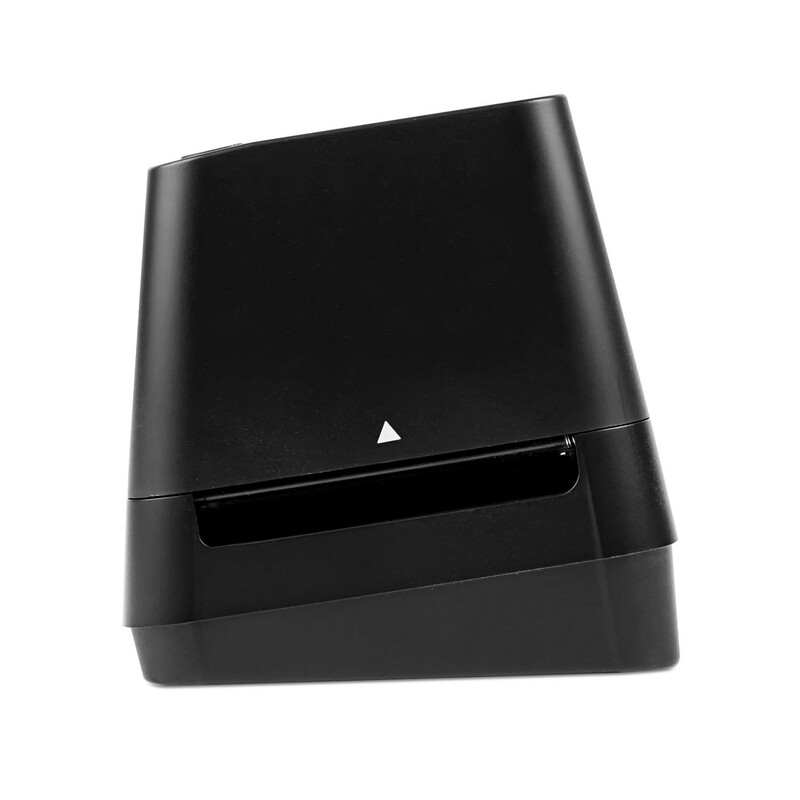 The FS51 can scan directly to an SD card inserted in the scanner. 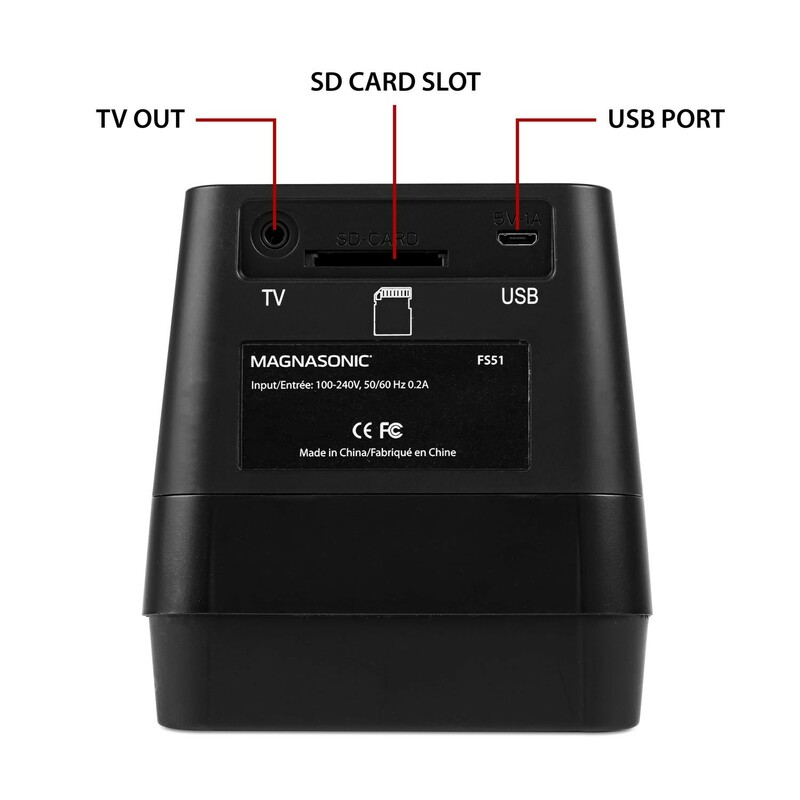 To view the scanned images, insert the SD card into a TV or computer with an SD card slot. The FS51 will accept SD cards up to 32GB in size. Absolutely! FS51 is compatible with MacOS 10.5 and up!